Alright. Let’s get to this week’s book: The ONE Thing by Gary Keller and Jay Papasan. This is one of the books that I have recommended most to people that want to be more successful in business and life. In other words, how can we go beyond merely “being busy” in any area of our lives and develop a sense of the essential? Napoleon once said that a military commander should be slow in deliberation and swift in execution, and the authors of this book think we should apply that advice to all areas of life. That we should, before acting, pause long enough to decide what really matters, and then allow that to drive our days. One of the reasons I find this concept so compelling is I think that modern living is, in many ways, an embarrassment of riches. We have more freedom and options in every aspect of our lives than ever before, and that’s why I think a major part of achieving success and fulfillment in any of them is identifying the things that will produce a disproportionate share of the results–you know, the 20% that produces the 80%. Therefore, success is more about doing the right things than doing everything right. It’s not about developing superhuman discipline and endurance, it’s about exerting just enough effort and self-control to establish the right habits–the ones that make everything else easier or unimportant. For example, in terms of health and fitness, those habits would include controlling your caloric and macronutritional intakes, and regularly eating nutritious foods and doing effective resistance training workouts. 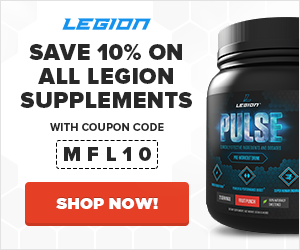 If that’s all you knew and did, you could ignore almost everything else in the health and fitness space and have a lean, muscular, healthy body for the rest of your life. In terms of work, it really depends on your business or career. In my case, it’s creating content — articles, podcasts, books, videos, and the like. If that’s all I did, ignoring every other idea and opportunity that came my way, my brand and companies would keep growing. Alright, let’s get to my 5 favorite takeaways from the book and thoughts on each. We hear about balance so much we automatically assume it’s exactly what we should be seeking. It’s not. Purpose, meaning, significance— these are what make a successful life. Seek them and you will most certainly live your life out of balance, criss-crossing an invisible middle line as you pursue your priorities. The act of living a full life by giving time to what matters is a balancing act. Extraordinary results require focused attention and time. Time on one thing means time away from another. This makes balance impossible. The idea that you should strive to keep all aspects of living in some magical state of perfect balance never really made sense to me, simply because extraordinary results require extraordinary sacrifices of time, attention, and energy. There’s just no way around it. You can’t, all at once, create an extraordinary career, family life, social life, and personal life. Something has to go. You’re going to have to choose what matters most and give it all the time it demands, and that means your life is going to get pretty unbalanced, which you’ll then have to correct from time to time. In my case, I focus on my work and family. I’d say that about 80% of my waking hours are spent working or spending time with my family, 10% are spent eating and exercising, and the remaining 10% is mainly spent educating myself or pursuing a hobby or pet project of some kind. That probably sounds like torture to some people, but I wouldn’t have it any other way. For me, happiness and fulfillment lies in being active and engaged and taking on more responsibility, as opposed to being passive, disconnected, and unaccountable. Achievers operate differently. They have an eye for the essential. They pause just long enough to decide what matters and then allow what matters to drive their day. Achievers do sooner what others plan to do later and defer, perhaps indefinitely, what others do sooner. The difference isn’t in intent, but in right of way. Achievers always work from a clear sense of priority. Do your most important work— your ONE Thing— early, before your willpower is drawn down. Most people start their days with a full tank of mental energy and willpower, and every decision that they make — whether they’re going to snooze their alarm or go to the gym, what clothes they’re going to wear, what they’re going to eat for breakfast, and everything else that the day has in store — progressively diminishes these reserves. Some of us are more mentally resilient than others, but at some point, we all run out of cognitive bandwidth and become more susceptible to illogical and impulsive behaviors. This is known as “decision fatigue,” and one of the easiest ways to inoculate yourself against it is to eliminate distractions and decisions that don’t really matter. Reserve your energy and willpower for the activities that are critically important. We usually succeed in spite of most of what we do, not because of it. Therefore, you can gain a lot from evaluating the various compartments of your life and deciding in clear terms what you want, and then working backward to identify the actions that will be most productive, and making those your number one priority. It’s the difference between waking up every day and asking “what shall I do?” or “what SHOULD I do?” Without a sense of purpose and direction, it doesn’t really matter because whatever you do will get you somewhere. But when you can say you want to go in THAT direction for THIS reason, then you can know what you SHOULD be doing. It inculcates a natural sense of priority. I believe that true, lasting happiness can’t be pursued but can only ensue from personal dedication to a course greater than oneself — a course that gives us compelling reason to endure all the effort, chaos, and pain that must be faced if we’re going to live a full, rewarding life. 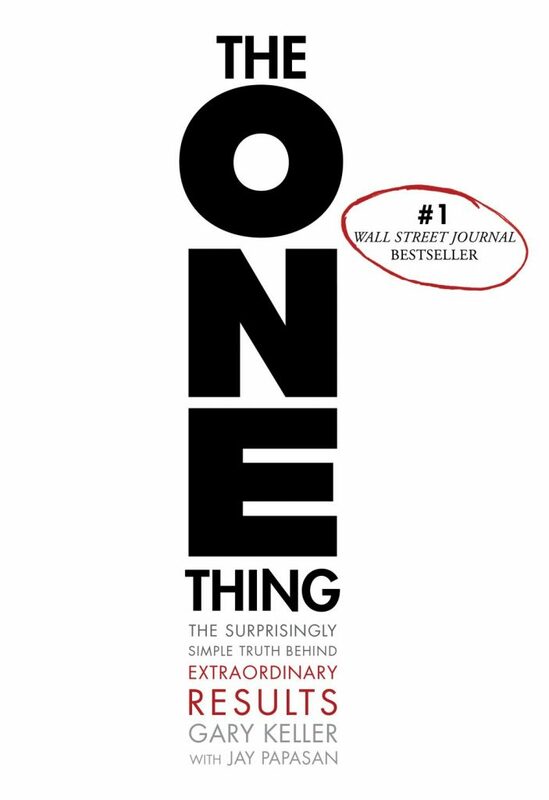 Have you read The ONE Thing? What did you think? Have anything else to share? Let me know in the comments below!